I must have tried almost every brand under the sun - and often have around 15-20 ‘favourites’ on the go - but one formula I hadn’t tried was ModelCo’s Party Proof lipstick. Until now, and I’m in love with these little square tubes of fabulous. 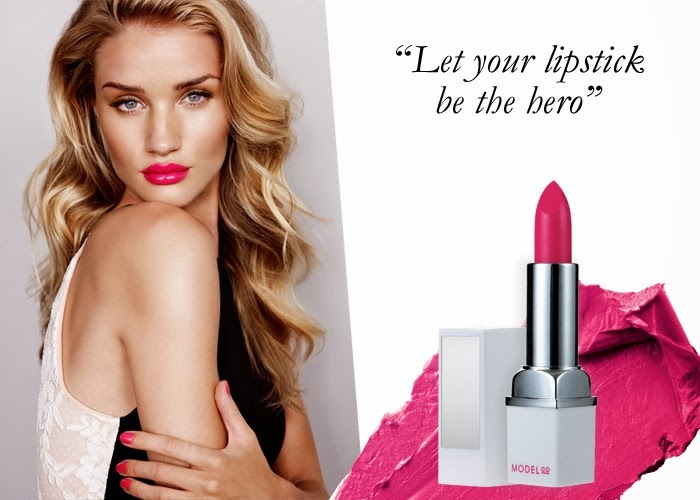 Described as ‘high-impact colour that won't budge’, ModelCo’s Party Proof Lipsticks are a super long-lasting, strong pigment lipstick in ultra-vibrant hues that are almost too beautiful to wear with any other makeup-type accoutrements. They have a lush, non-drying formula that glides on effortlessly without drying, caking or flaking, whilst for me, the ‘thickness’ (for want of a better word) of the lipstick itself makes it a one-application process. You don’t waste either money or time with these little wonders, which is a major bonus. Love that. They come nestled snugly in the aforementioned, square white case and complete with an inbuilt mirror for easy application - think taxis, toilet queues and boring meetings. Perfection. It’s also available as two formulas - the cream lipstick collection features 17 killer shades whilst the matte lipstick collection features seven ultra wearable, food, wine and chatter proof hues. My current faves include Red Velvet - a matte, clear red, Smitten - a berry tone that will be perfect in the cooler months and After Hours - a brighter red creamy formula that is perfect with just a tan for day. You can take a look and even buy pick up a few - go on! - right here.